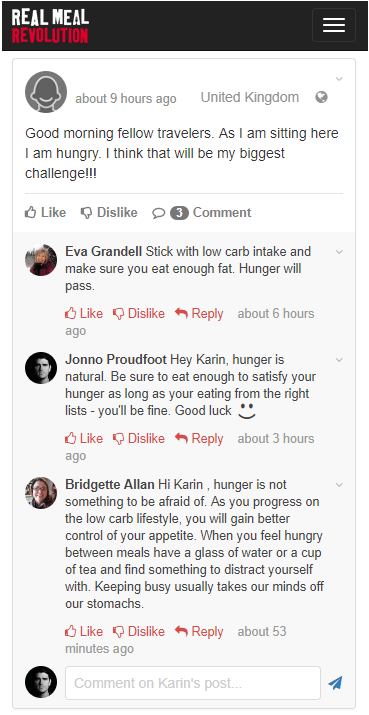 In 2016, we launched our new phased approach to the low carb, keto diet called Banting 2.0. 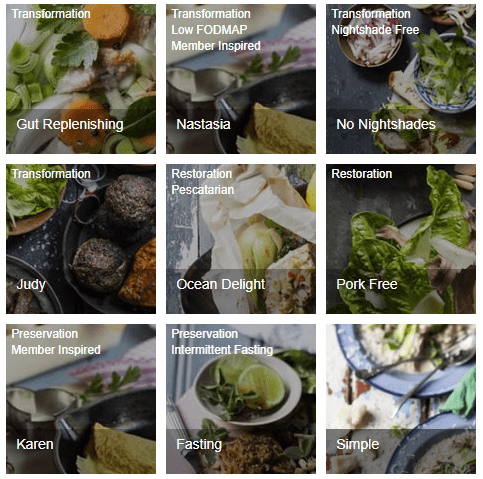 18 months later, in December 2017, we brought you the brand spanking new (ultra-mobile-friendly) Real Meal Revolution Online Program. Our Online Program has been custom designed to gradually get you from eating rubbish and feeling unhealthy, to habitually eating the healthiest and most delicious low carb real foods. You start on your Dashboard. 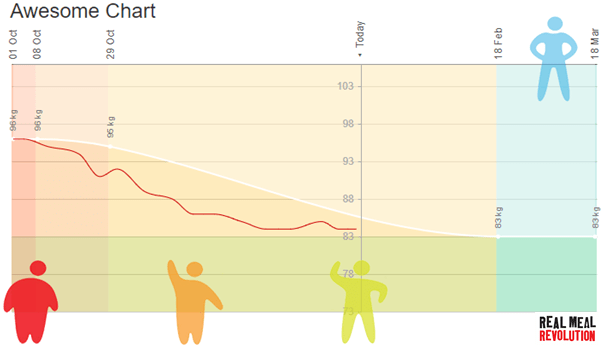 Your dashboard calculates your Awesome Weight, which of your phases start when, and how long it will take you to arrive at your final destination. 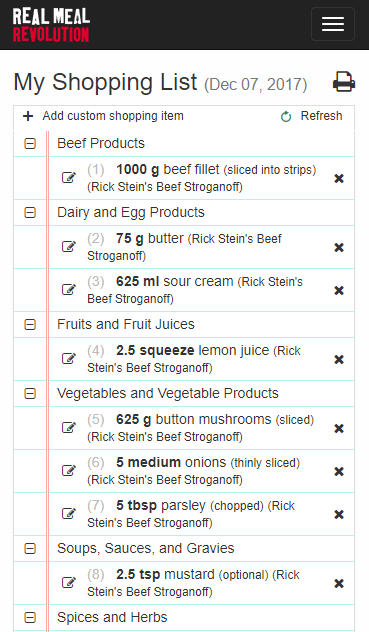 You can save the lists to your phone and make sure you eat the right foods from the right lists. 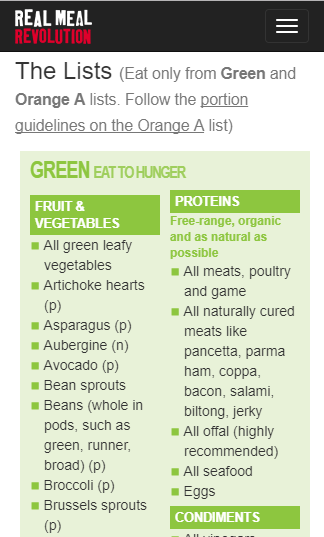 The Banting Green List is the ‘Eat your fill’ list. No need to count anything. 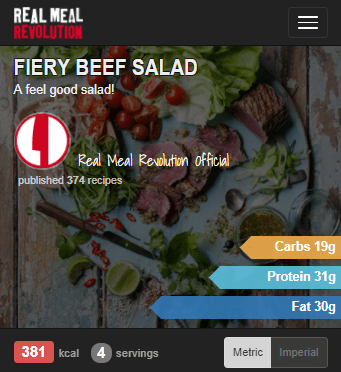 You can now get stuck into more than 350 delicious Real Meal Revolution recipes developed by Jonno Proudfoot. Jonno developed the recipes for The Real Meal Revolution cook book which still holds the record for the fastest selling cookbook in South African history. If you want to keep an eye on your nutritional intake (not a bad idea), all macronutrients and micronutrients of every recipe are now on each recipe card. Add it to your profile and our system will calculate its nutritional values for you. 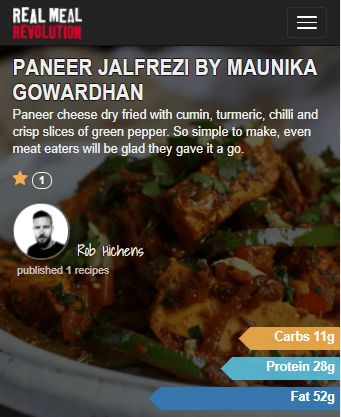 And yes, both your recipes and our recipes can be added to your personal shopping list. Unsure of how much to eat when? 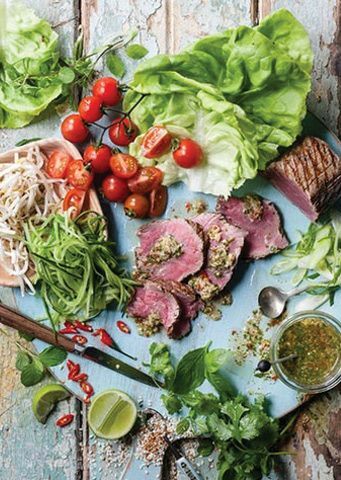 Download one of more than 50 low carb Banting meal plans. We cater for any of your dietary needs, over above just low carb of course – vegetarians, Kosher, Halaal and Anti-FODMAP, Nightshade-Free all welcome. Want something special? Get in touch and we’ll do a ‘Member-Feature’ meal plan based on your specific needs. Worried about losing your way? 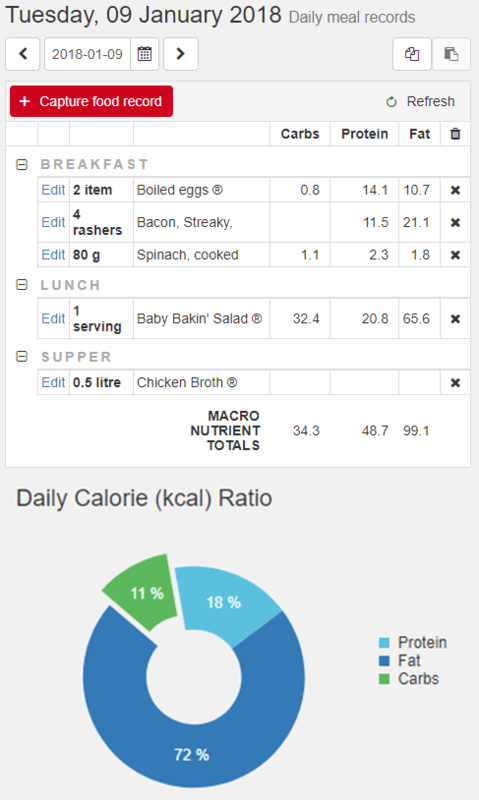 To guarantee you’re keeping your carb count as low as possible, make use of our meal tracker. If there are things you eat every day, you can create combos to make tracking lightning fast. 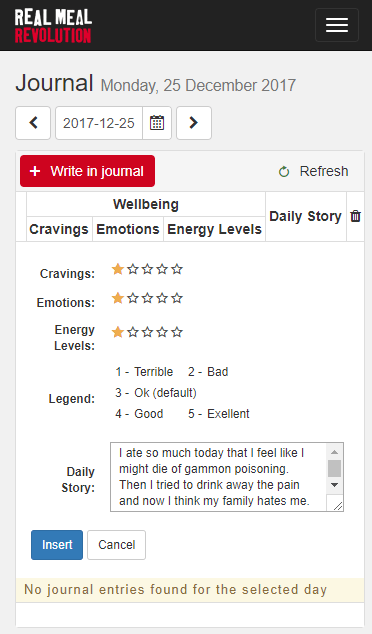 Keep track of which foods make you feel down and which foods light a fire in you with your own private eating journal (especially helpful if you’re getting extra coaching). Weigh-and-measure yourself every Wednesday and watch yourself smash your goals.